Almost three years ago I wrote my first blog for InventorSpot. It was about ways to keep your pets cool in the summer. Those products are still great for chilling out your pets in the summer, but I thought I would add another 10 to the list. If you own pets, especially dogs, you should know that they are even more prone to heat stroke than humans. Take proactive steps to make sure your dog doesn't succumb to heat stroke, because it can be deadly. Older and/or disabled dogs are at higher risk, as is any dog that is walked or exercised in the sun on a hot day, or in a yard without shelter, or left without a source of cool water at all times. Shave your dogs or cut them short, use sunscreen, don't exercise them between 9:00 and 5:00, keep them away from hot tar roads and cement sidewalks... Use common sense. Most dogs love to swim and it's great exercise for them, but absent swimming in the family pool (if you have one) this sturdy, easy to set-up, dog swimming pool is a great place for doggies to chill out on a hot day. 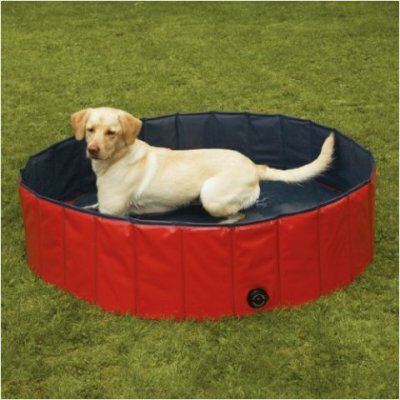 Easy to attach to a boat or swimming pool, the Super Skamper makes it easy for dogs to ease in and out of the water after swim or cool down. 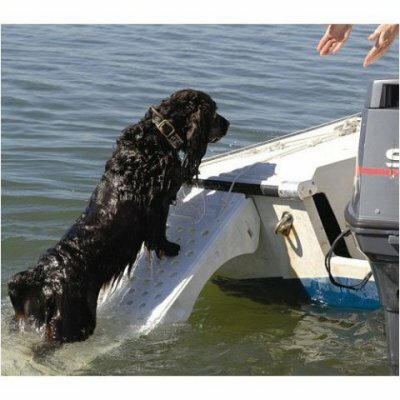 Make of high impact, UV resistant plastic, the 42 inch ramp holds dogs up to 200 pounds. 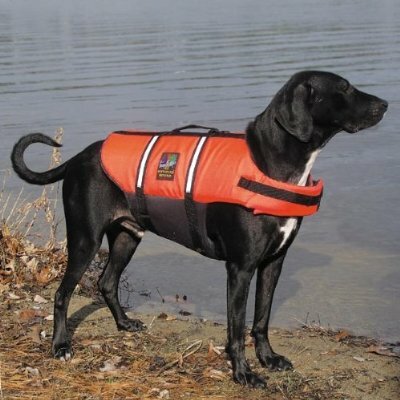 The Kyjen Life Jacket is for use in deep water if your dog can't swim, or you are afraid he might tire from swimming. It should also be warn on light boats or rafts in case of tipping. Many dog surfers wear these as well. They are very light weight and I personally found them the best life jackets for the price. My own dogs have worn them. The Cool K-9 sews up polymer crystals inside its lining. 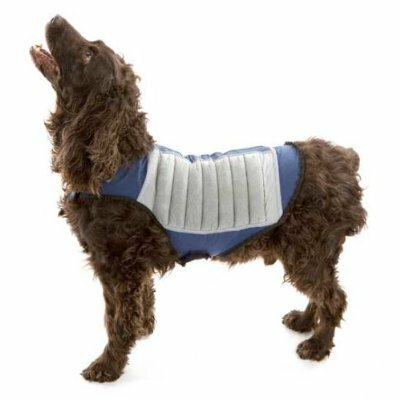 When soaked in water, it provides coolness to your dog's back and chest and his heat transfers to the jacket where the water eventually evaporators. The reflective bands are great to keep him visible when out hiking, hunting, or walking outdoors. Sixteen jets give your dog a real hose down, penetrating the thickest hair. Soap him up if you like, or just let him enjoy the cooling waters. 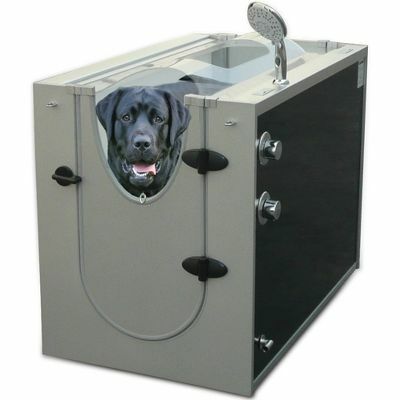 The Canine Shower Stall comes with a hand-held sprayer to rinse hard to reach areas, two leaches to restrain your pet, a shelf for shorty dogs, and dual locking doors to keep the water-shy dogs from taking off.